Monday has a wide range of music from 80's through to current chart hits. It has it's own special appeal being quieter than the other venues with between 30 and 50 people aged 18 - 60. 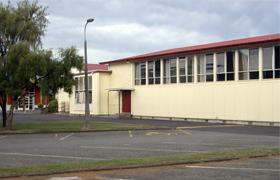 It's north west location makes it a popular class for people outside Christchurch. Parking is convenient with over 50 spaces at the school and plenty of parking nearby. See below for a map and more info. The school is behind Northlands shopping centre opposite Warehouse Stationery. Turn into the school from Langdons Road, the hall is on the right hand side. There are over 50 parking spaces in the school car park and over 100 spaces opposite the school. As you approach the hall, the entrance is on the left.